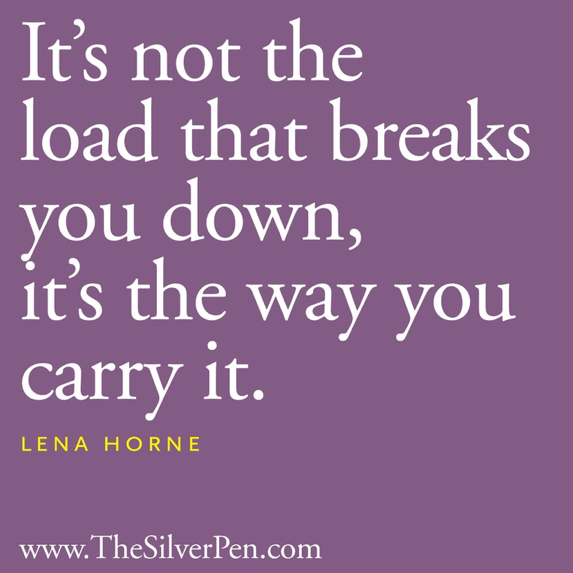 It's not the load that breaks you, it's the way you carry it. 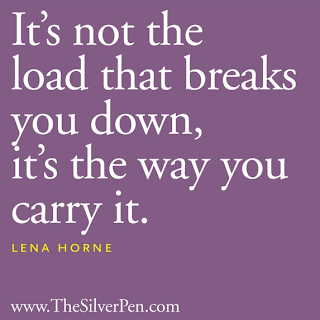 We will all face heavy burdens and stress in our lives. We can let these things weigh us down and destroy us, or we can pick ourselves up, build some muscle and push through. The choice is up to us. We must be strong to overcome the difficulties we experience each day. Don't let the challenges you face break you. Overcome and come off conquerer.